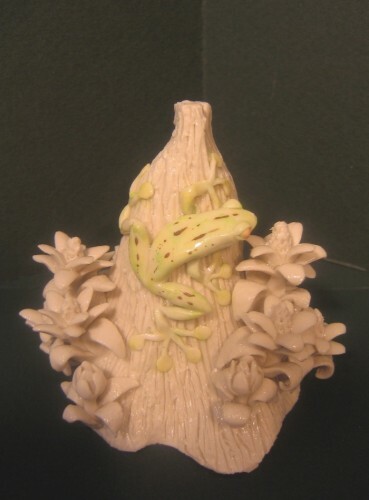 I am a westcoast craftsperson, who uses porcelain and stoneware to interpret the flora and fauna of the WestCoast. I am fascinated by the delicacy of the microcosmic world of nature. By isolating pieces of bark, tree stumps or toadstools as stages for their fragile dances, I hope to convey an essential beauty. 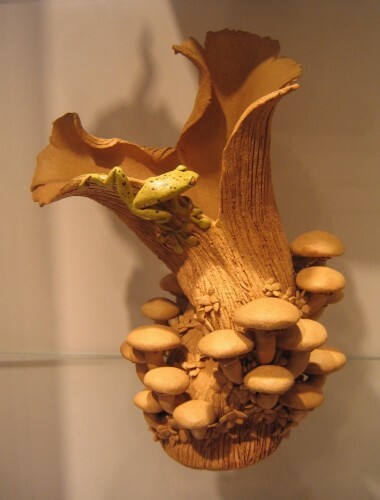 While rooted in the natural world, my work is also an intermingling of fantasy and reality.